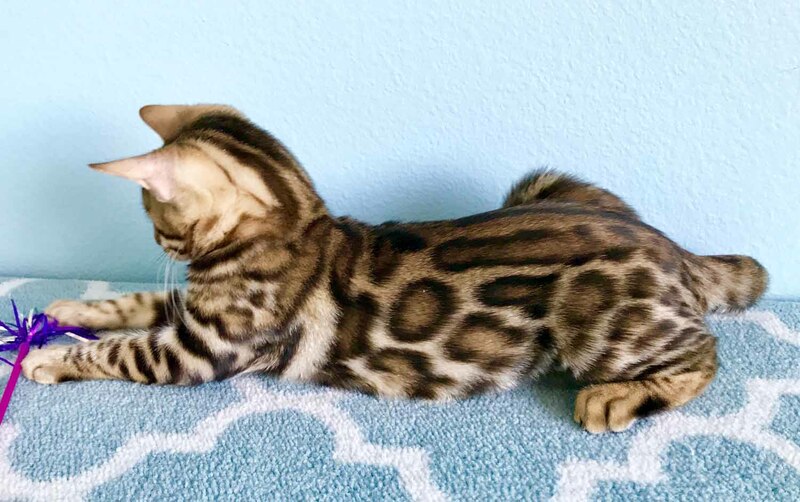 All our breeding cats came from long lines of Champion and Supreme Champion Bloodlines, and are full TICA SBT Pedigreed Cats. 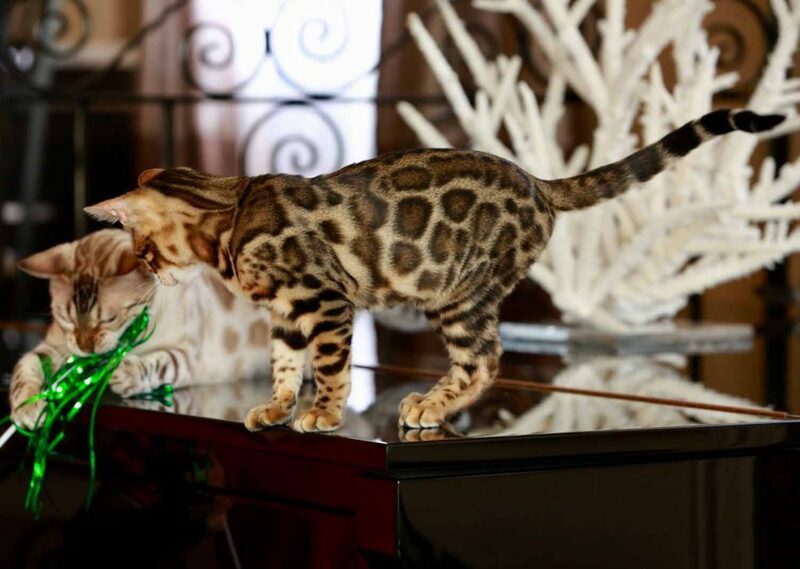 All our breeding cats are screened annually by our USDA accredited veterinarians for health. 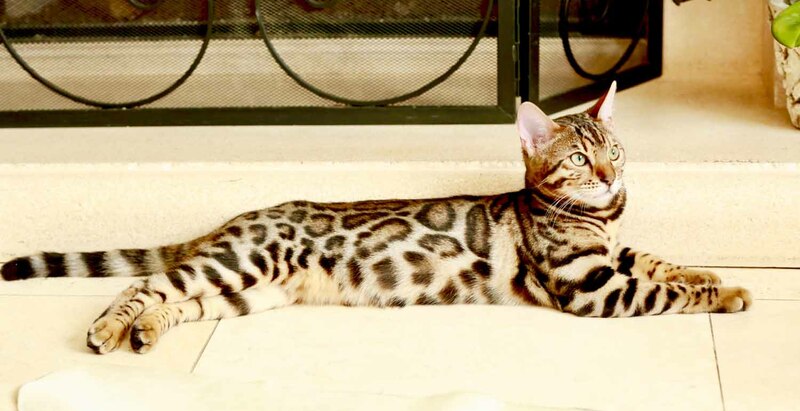 All our breeding adults are FIV, FeLv, HCM normal, and PK Def N/N. Allure is as beautiful and sweet as they come. 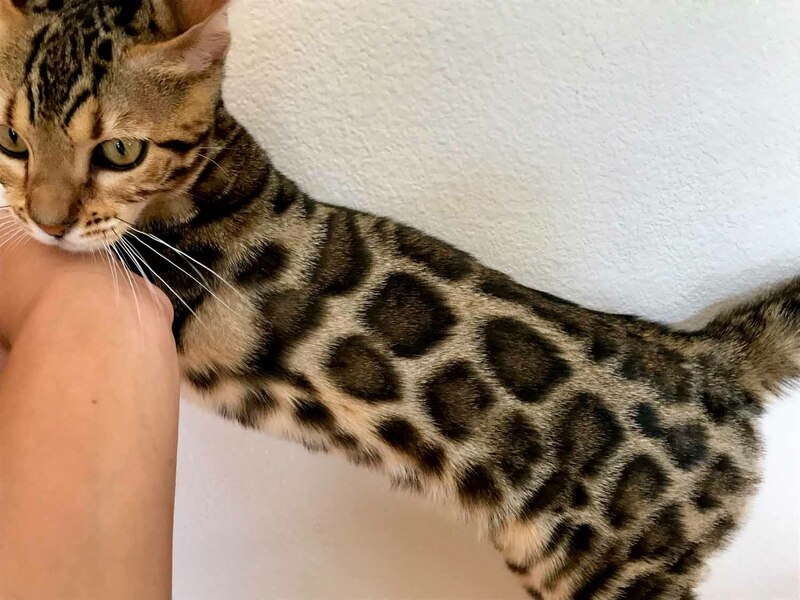 She is a brown Clouded Leopard Bengal. 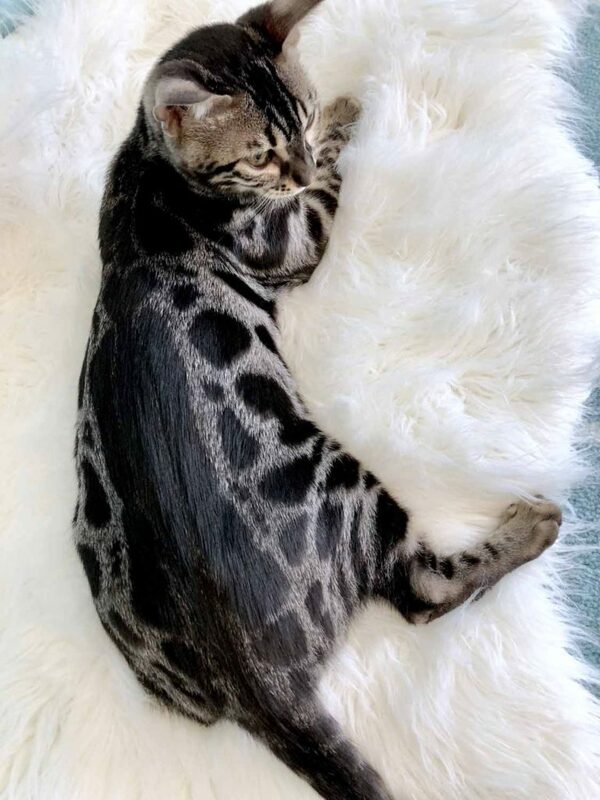 Her dramatic markings and color contrasts are just so beautiful, from kitten to now a breeding adult, she takes my breath away every time I look at her. 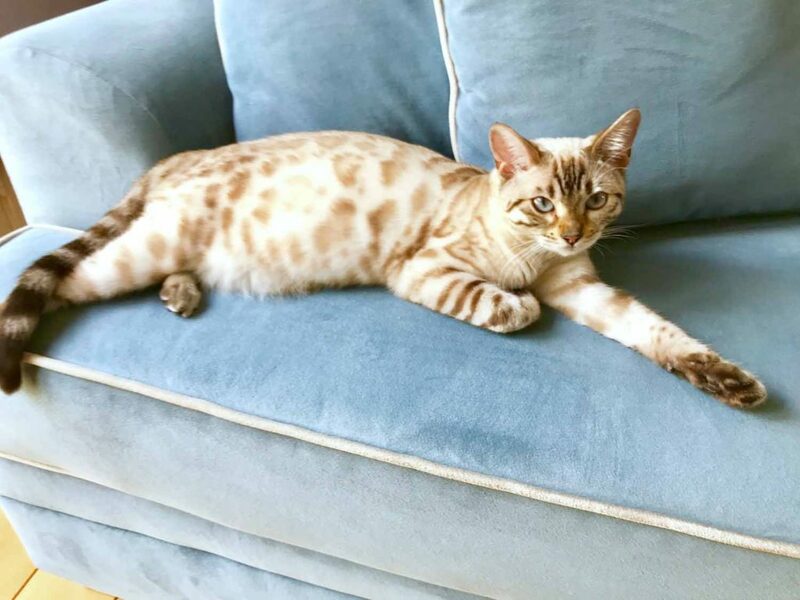 Kona is a Donut Rosetted Brown Bengal. Look at her perfectly evenly spaced large round rosettes. Kona is not only gorgeous, she truly is a sweetheart. She produces amazing babies. 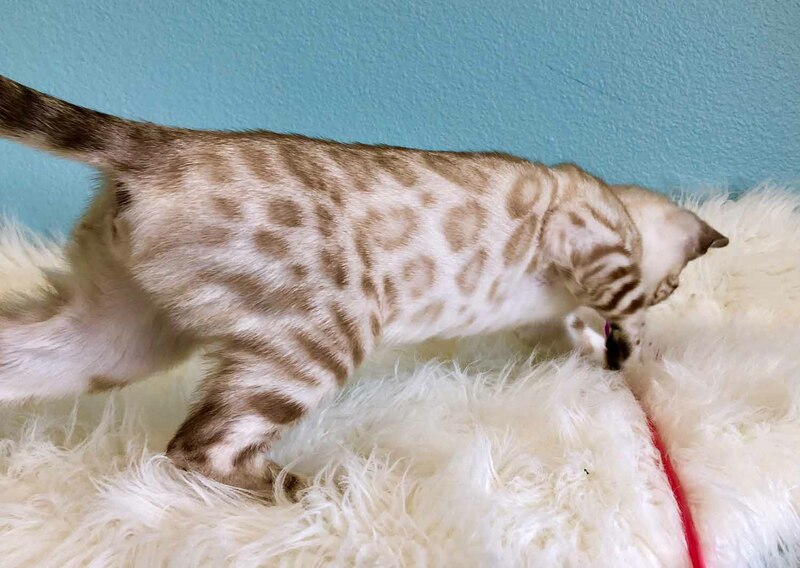 Powder is a Seal Lynx Blue Eyes, Donut Rosetted Bengal. Her beauty is just wow, just look at her! Powder is the best mother ever! She is sweet and oh so very cool! She always waits for me to give birth, and when she is giving birth, she always lets me film her in her most intimate birthing moments. The beauty of new life is on both my Facebook page and our YouTube Channel. 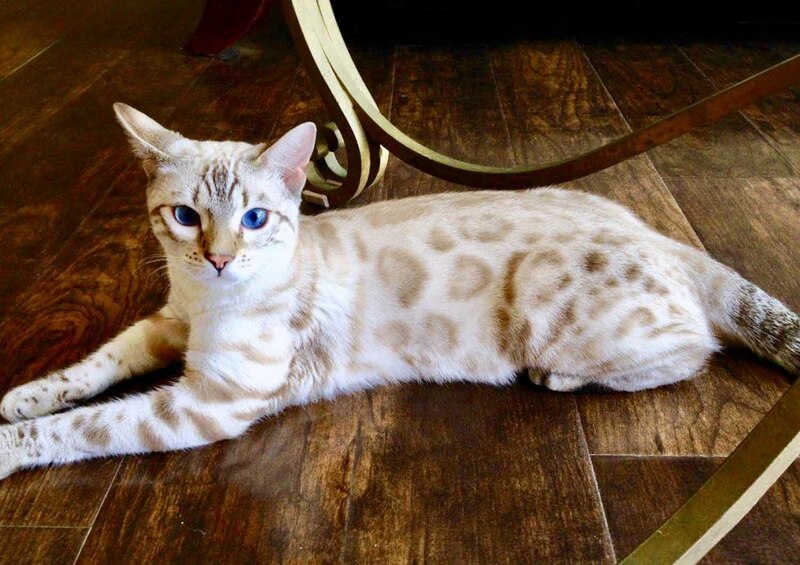 Snuggles AKA Fetch is a Seal Lynx, blue eyes, paw print rosetted Bengal. She was named Snuggles because she likes to snuggle up to me. One day, she keeps bringing me toys, so much so I started to brush them away, then she ran and brought them back to me. 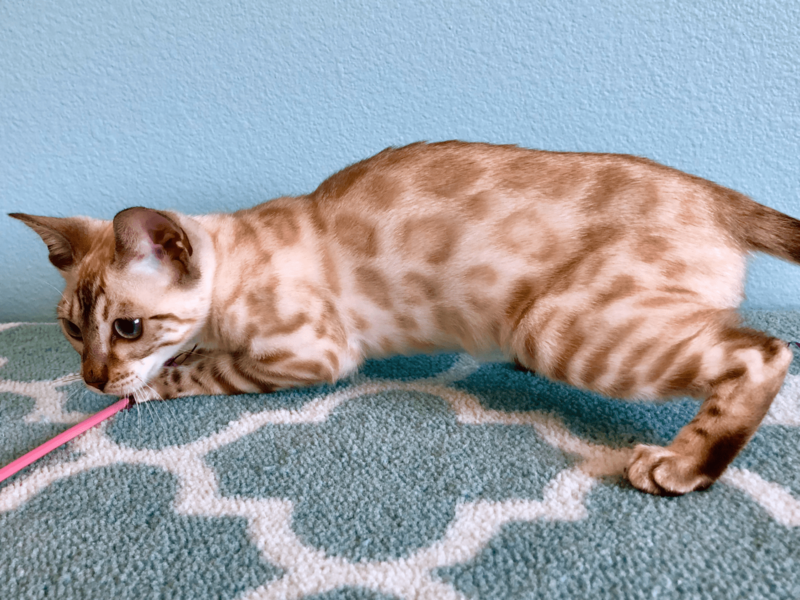 At first I didn't realize what she is teaching me to do, but soon I realized that she loves to play fetch. The amazing thing is I never taught her that, it's like she's a puppy, she just naturally knows how to fetch. 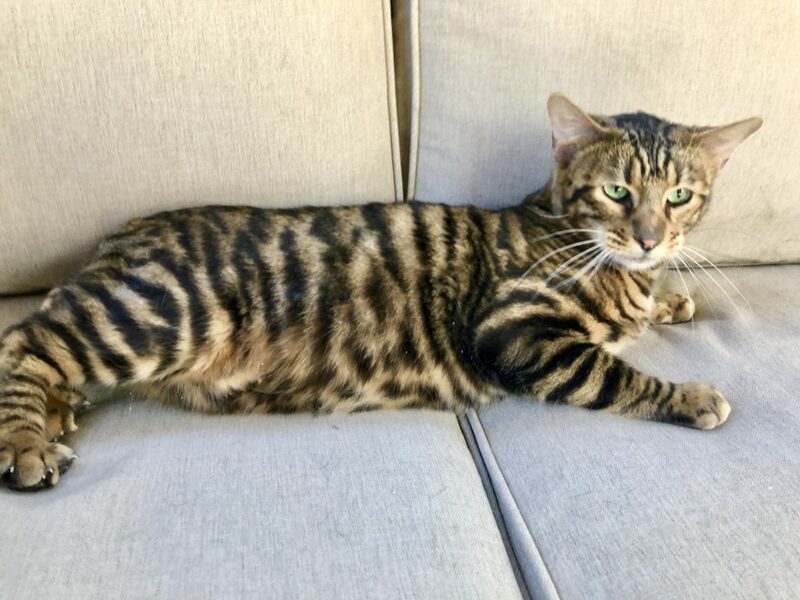 Maya is a Donut Rosetted Charcoal Bengal. 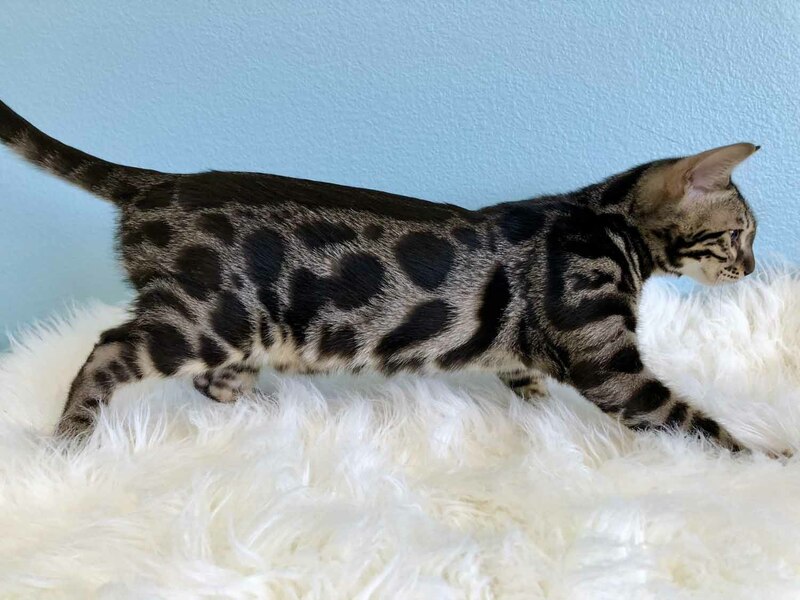 She has great color contrast, super shinny coat. She loves to be petted and cuddled. She's getting more and more beautiful and exotic everyday. 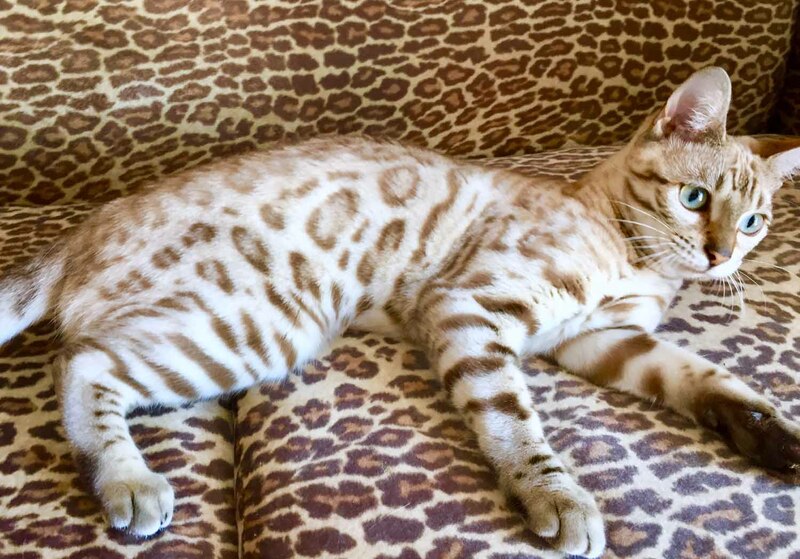 Mochi is a Seal Mink Donut Rosetted Bengal with Aqua Eyes. Mochi's as sweet as it gets, she loves people, loves to be petted, she is just a sweetheart. 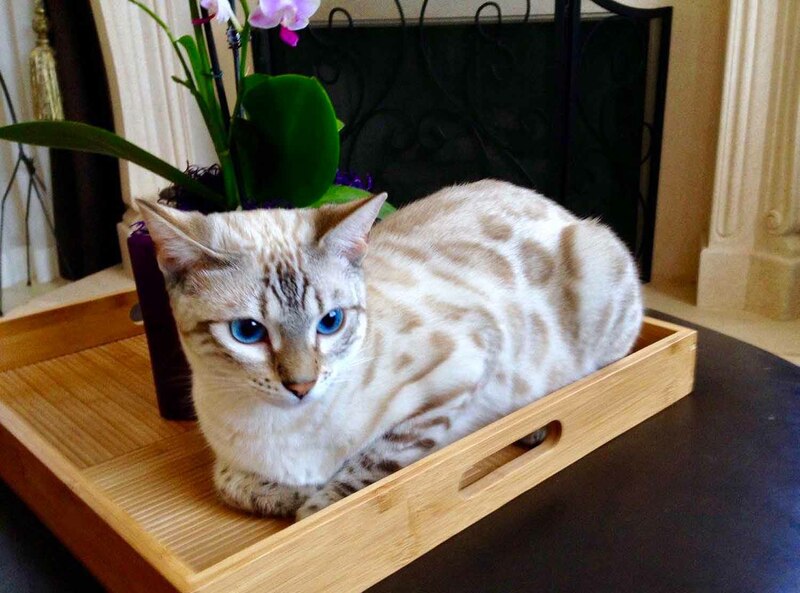 Yuki is a Seal Lynx, Blue Eyes, Large Donut Rosetted Snow Bengal. Yuki is a real talker, she has a lot to say in her daily life. 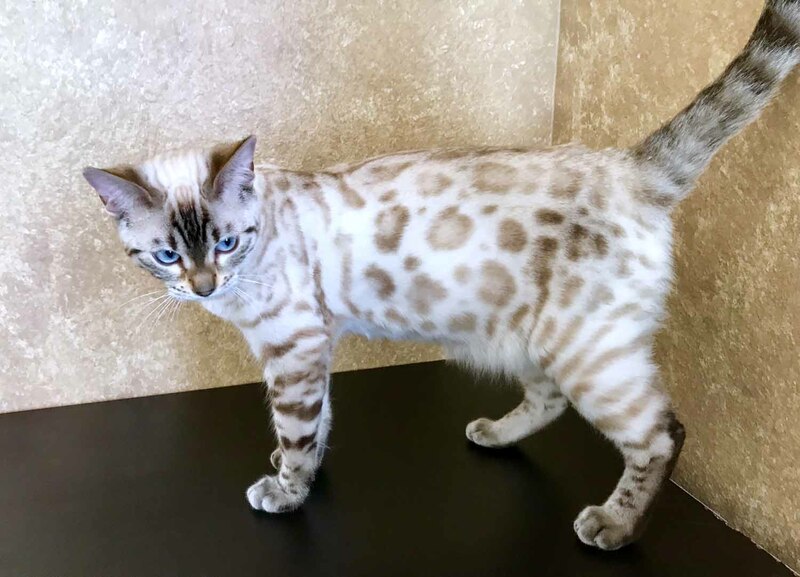 She is a sweet gorgeous snow girl with smooth shinny coat. Can't wait to watch her grow up. 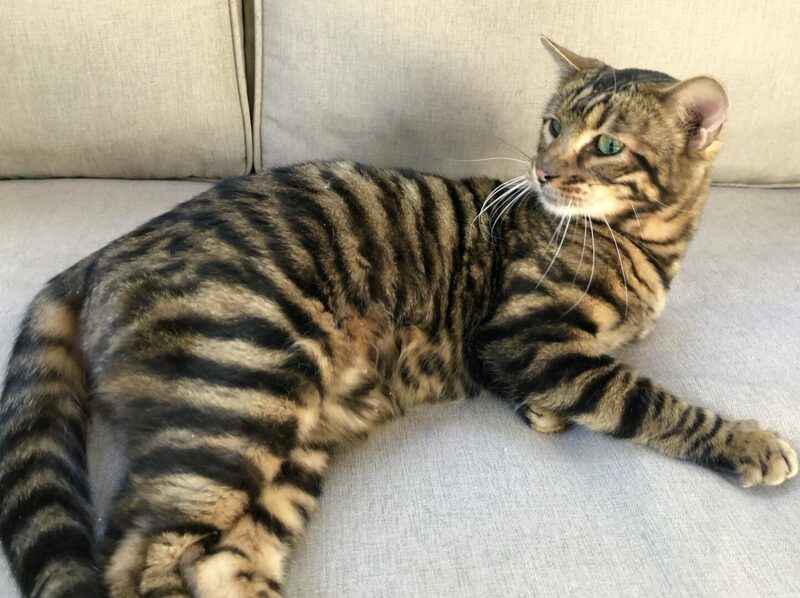 I was very lucky to have Judy Sugden the creator of Toygers to let me have this gorgeous Toyger. 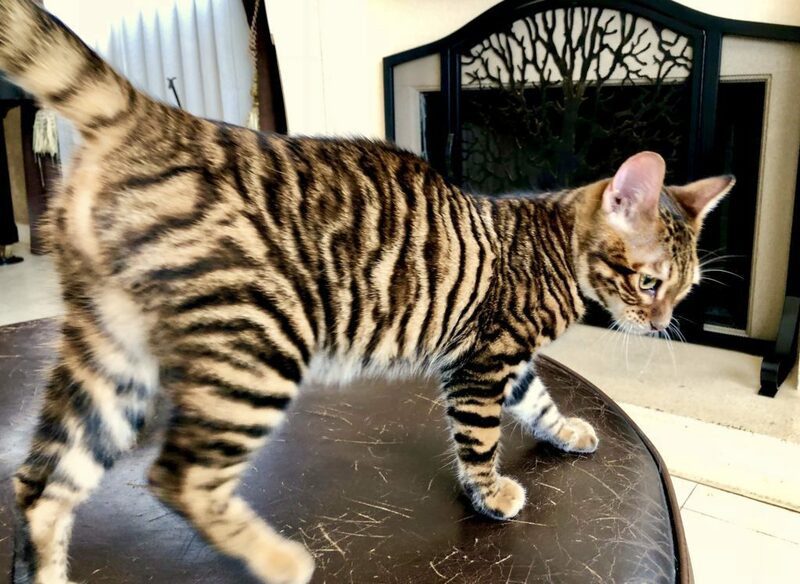 Sunset has a face that looks like a little tiger, her beautiful orange coat with tiger stripes. Don’t let her looks fool you, she is a total sweetheart. Foxy came from Judy Sugden the creator of Toygers. Foxy has a face that looks like a little tiger. 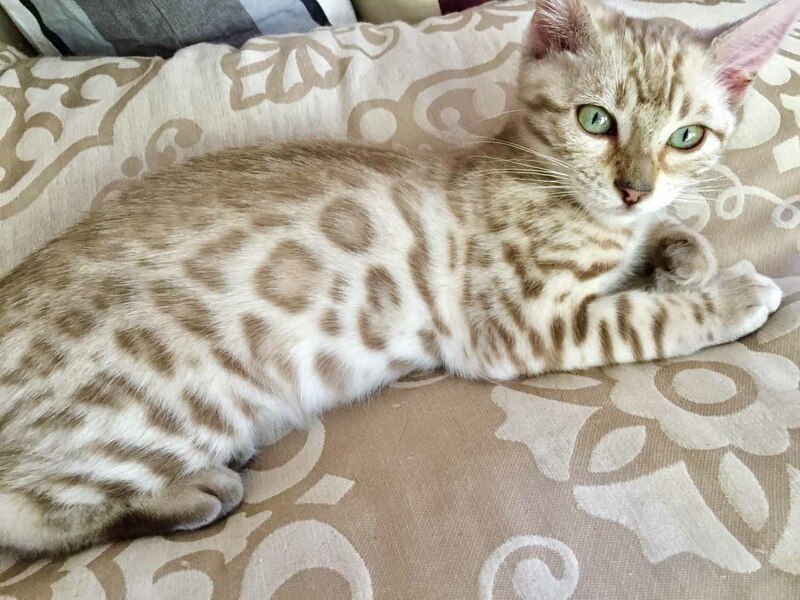 She has gorgeous green eyes, her beautiful orange coat with tiger stripes. She is a total sweetheart. 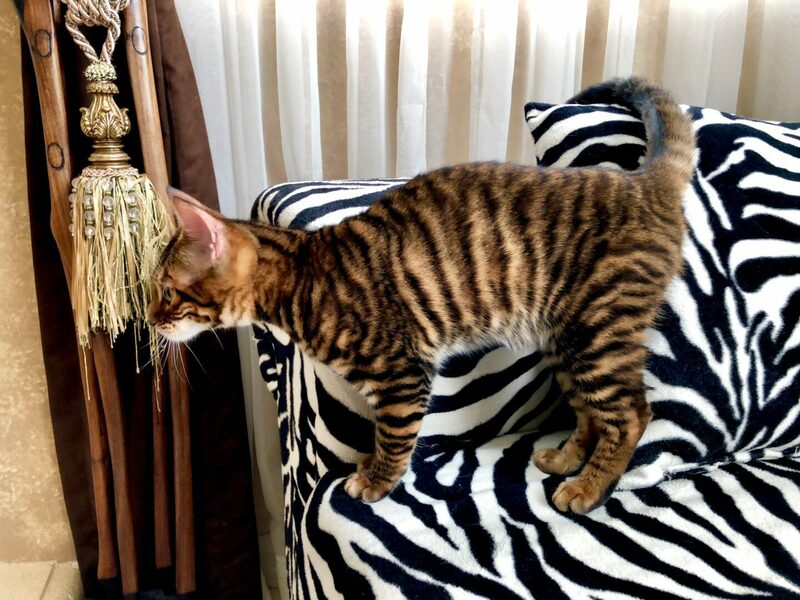 Zeta has gorgeous coloring and stripes just like a little tiger. She is super sweet.